Music: Hikari no Shiruetto~Shining Tears X Wind Ending Full. Directed by the G.U. games director and CC2 president Hiroshi "Piros" Matsuyama himself, Trilogy will retell the story of the games we all know and love, with a new level of cinematic detail beyond what can be done in a PS2 game. Trilogy will include 5.1 surround sound, 10 minutes of bonus features, and a "Parody Mode", not seen since the Japanese release of the first four games. 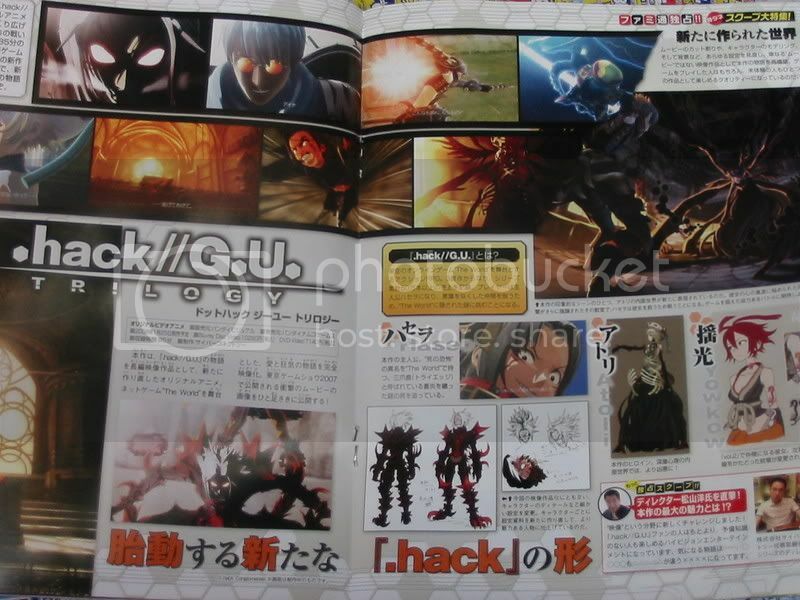 There will also be a limited edition, which will include a full color ".hack//G.U. World Guide." Ahhh I SO want that one! it SO Nice looking beside .Hack//OVA. (I think this would look like on PS3!...Some wish huh?) enjoy now!.